Lagos State Governor, Mr. Akinwunmi Ambode on Tuesday reiterated the need for Nigeria to implement the federal system as originally intended, saying doing so remains the right path to rescue the country from the doldrums and myriad of challenges inhibiting growth and development. Governor Ambode, who spoke while delivering the University of Lagos Convocation Lecture and investiture of Professor Oluwatoyin Ogundipe as the 12th Vice Chancellor of the institution, said it was a common knowledge that the Federal Government was burdened with tasks beyond the reach of its best competencies to the detriment of States, which are the federating units. According to him, Nigeria’s present political structure was seriously affecting the efficiency of both State and Local governments, submitting that for States to give optimal service to their citizens, the principle of inclusion as being practiced in Lagos where anybody irrespective of race or creed can rise to the pinnacle of their chosen career, first needs to be applied to the division of power between the Federal and State governments. “There recently has been clamour for devolution of power and true federalism. While much of this talk is good intentioned, I believe it misses the crucial point. The linchpin of good governance is not found in the system deployed but in the quality of its administration. “We must implement the federal system as it was intended to be. Heretofore, too much power has resided in the National government. This has been to the detriment of the authority and efficiency of both State and Local governments. “This has caused a governance vacuum of sorts. The Federal government is burdened with tasks beyond the reach of its best competencies. The States and Local government are dissuaded from treating many matters of a local nature that are better left in their hands due to their greater knowledge of local conditions. “We need to shift some functions/responsibilities from the national government to place more of it in the hands of the States. This is how we give federalism the best chance to work. Until we do this, calls to abandon the current system serve not to fix the underlying problem,” the Governor said. Continuing, Governor Ambode said any structural reform might face the tendency of being distorted to serve the purpose of those who favour concentration of power, adding that clamour for total change to the political architecture would be time consuming and expensive. He posited that what the nation should do was to first attempt a more equitable level of fiscal federalism before adopting drastic alternations that may likely plunge the country into uncertainty. “Additionally, such attempts at enormous and rapid political change causes economic uncertainty and dislocation. Given our tenuous relationship to prosperity, Nigeria cannot afford this self-affliction. “There is widespread consensus that too much power sits in the center. We can correct this imbalance by reallocating power and responsibilities between the States and Federal government by amending the list of exclusive and concurrent powers and duties of these governments to reflect current realities in the nation. “These changes will have beneficial impact visible within a short amount of time. The impact of these changes, though political in origin, will be economic in nature and it is in our economic life where the nation needs the most help. “Resolving the problems regarding federalism and the herdsman’s, as with so many other problems, requires us to look beyond prejudice and hatred. Exploiting fear and bias is easy and sings well in the short-run. Over the longer-term, it is a bitter cup that cures nothing but ferments greater hatred and larger problems,” he said. 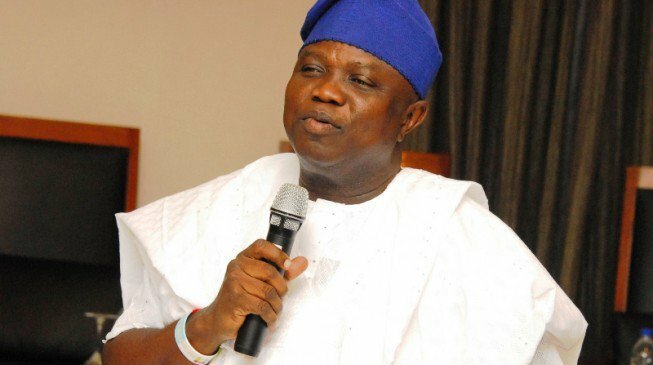 Governor Ambode, who also alluded to the story of Lagos, said former Governors Bola Tinubu and Babatunde Fashola deserved commendation for moving the master plan of Lagos from concept to concrete reality, saying his administration was building on it to move the State to a smart city. “In every way, our infrastructure is improved. Our roads are better, our mass transportation has expanded, hospitals give better care to the sick and afflicted, education is improving and more affordable housing is being constructed before our very eyes. “The face of Badagry is changing. The makeover of Oshodi will cause you to marvel at the transformation that can take place even in densely populated urban space when there is the political will and determined creativity to give the people the infrastructure they deserve. We are improving and expanding the Airport Road so that a trip to and from the airport no longer takes more time than your flight itself. “The Lekki-Epe axis was once an isolated, inactive tract of land. Now it bustles with energy, activity and prosperity due in large measure to the roads and other infrastructure our State has constructed. 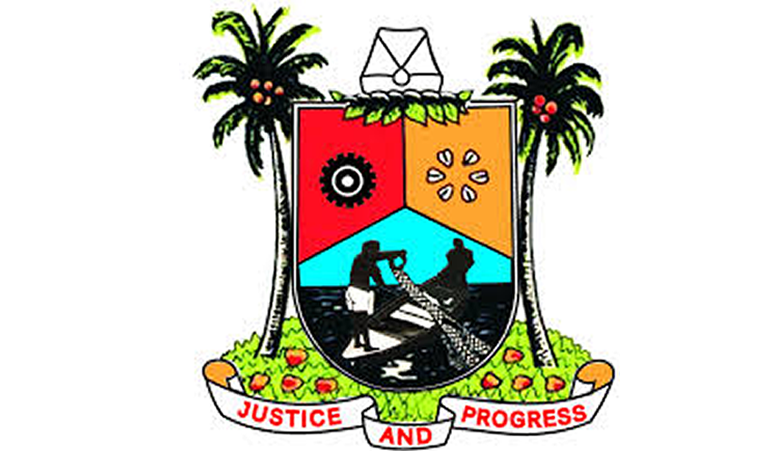 We have and will continue to build bridges linking parts of Lagos that have not been linked before so that commerce, transport and communication among Lagosians will be facilitated,” he said. Admonishing the 2017 graduates, Governor Ambode urged them to use their academic experience to correct the direction of the country by improving social attitudes and relying more on conscience than being canny in the conduct of their affairs. To this end, he urged the new graduates to shun the old ways of ethnic, religious and regional bias that have plagued Nigeria’s politics over the years, adding that they must rise above ethnic pettiness and religious bigotry to overcome the enormity of common challenges facing Nigerians and Africans. “The rest of the world sees us as Black, African and Nigerian and will deal with all of us in the same manner. That larger world cares little about the internal divisions we see as so profound. In this context, we are in the same boat and share the same fate. Unless we join in concerted effort to help each other toward a better more united Nigeria, we all shall fail in our different ways,” he said. Earlier, in his acceptance speech, Ogundipe lauded Governor Ambode for his commitment to the education sector, saying the institution (UNILAG), where the Governor himself graduated from, was proud to associate with his achievements. He particularly thanked the Governor for granting 75 per cent waiver on revenue payable by the institution to the State Government, saying the gesture, among other laudable initiatives, were worth commending and shows his passion for the development of the education sector. Dignitaries who graced the event include Oba of Lagos, Oba Rilwan Akiolu; Senator representing Lagos Central, Mrs. Oluremi Tinubu; UNILAG Pro Chancellor, Dr Wale Babalakin; Vice Chancellor of Lagos State University (LASU), Professor Olanrewaju Fagbohun; former UNILAG Vice Chancellors – Professors Oye Ibidapo-Obe and Rahman Bello; foremost educationist, Professor Anya O. Anya, among others.